It was innocent enough. An email from my son's tee ball coach outlining the upcoming game schedule. So, why did I suddenly feel so anxious? Why was a dark cloud descending on my good mood? Obviously, this wasn't about tee ball. Rather, what it represented...to me. 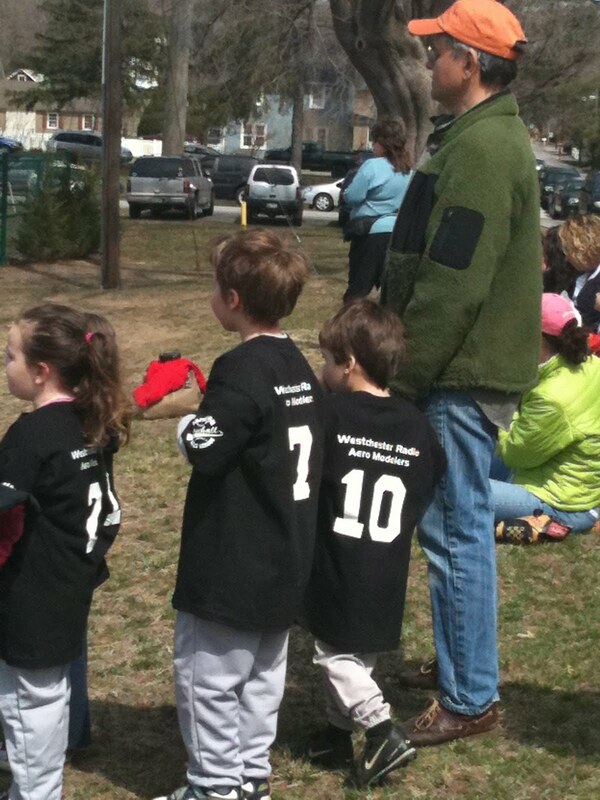 A happy spring, standing on the sideline watching my oldest son take part in his first real team activity. Days stretching toward summer. A Disney vacation looming large on the horizon. All marred by cancer's unwelcome arrival. This week, two years ago. The team schedule reminded me how life as I knew it was abruptly shattered and it was there on that field, where I fought to hold it together. Memories, thought to be put away, flooded toward me. The week that was, two years ago started with a routine mammogram and ultrasound on a Monday morning. By late Friday afternoon, it was a done deal. A diagnosis of Invasive Ductal Carcinoma. The savage I tried to outrun for 25 years, when my mom was first diagnosed, had finally caught me. My son had a late afternoon game, the same day I had a core needle biopsy. Unsure if I'd feel up to the game, I asked my husband if this was the start of missing out on activities, like tee ball. Like my boy's preschool graduation. Like their lives. He said that wasn't going to happen, but I knew he couldn't really promise such things. No one could. Milestones, came to mind. Some special, many ordinary...that my mother missed. Her absence was palpable on so many occasions. It is a loss I feel to this day and impossible to grasp happening to my children. Physically uncomfortable, burdened with trepidation and uncertainty, I went to my son's game and I remember, as if it were yesterday, standing on the third base line contemplating...wondering how it would all play out. 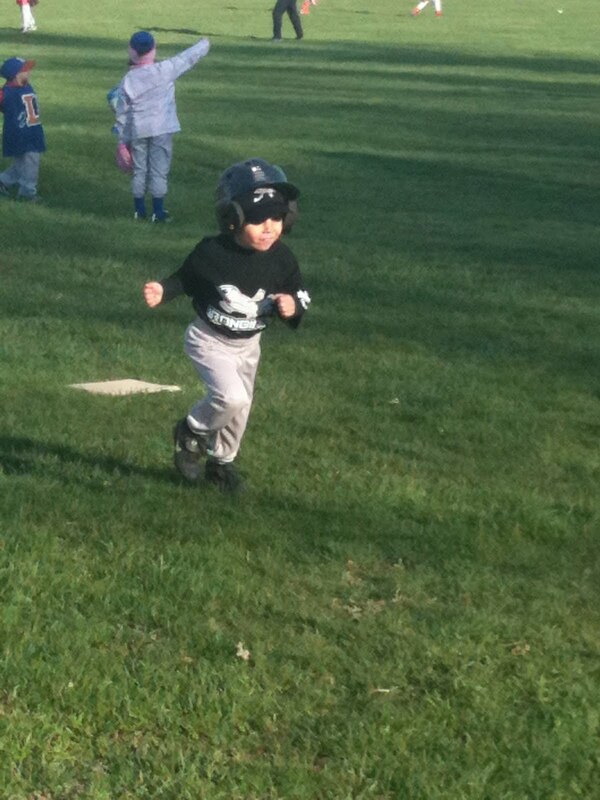 Two years later, my youngest, otherwise known as Brave, is playing tee ball for the first time. 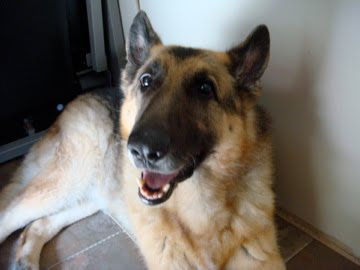 In the past, he stood with me watching his brother knock the ball halfway across the field, effortlessly fly around the bases and rush to his friends behind home plate. When spring arrived this year and finally old enough, Brave enthusiastically signed up to play while imagining his prowess with the bat and envisioning his lightning speed. He saw his chance to be cheered at the plate, like his big brother before him. But what my little man doesn't understand is that it's easy for his brother. He plays with his best friends. He has a built in support system with him at all times. Without that, things are much harder. As the ski lessons this past winter, tee ball this spring, wouldn't come easy. As standing on the sideline, cheering as if all is right in our world, wouldn't come easy to me. In spite of Brave's excitement, he lingered behind his daddy's leg (#10) on opening day unsure of his place among the team filled with unfamiliar faces. We wondered if he'd even venture to play, but as he's known to do, he took it slow. Emerging from his haven behind dad's leg, he joined his team. He refused to bat at first, leaving me to wonder if fear would override his joy of playing, remove all chance of seeing what spring has to offer. He had to bat at some point. He just had too. It mattered more than he even knows. It mattered to me. Yes, this is a boy, not yet five years old, but I couldn't let fear win. Not here, on this field or anywhere. Luckily, fear shoots only a short flame inside my brave boy, and in the second inning, he stomped it out and boldly stepped up to the plate. Swung the bat with all his might...and missed. Then he missed again, but whacked it clear toward second base on his next swing and raced to first base, where he stood with a giant smile. He liked the view from first base. No fear here. Pride swelled. My little man had once again found the courage to forge ahead and not because he didn't have a choice, but because his desire to succeed at something he loved was stronger than his worries. As it should be. He inspires me as I stand on the same bit of field exactly two years later. Perhaps, it is the same field and the same spot, but this is a different boy. A boy who pushes fear out of his way, digs deep and swings. Maybe, I can push away the memories that find me here. The ones that carry my struggle, the road I've traveled, the questions that have been answered and those that still remain. My brave boy proves this truly is a new day for us, a different place in time and a pretty nice spot to watch a game. It is good to think about, accept, hold onto and cry even, then I let it go...I acknowledge it and thank it, then I just have to live my moments one at a time. Congratulations to you for your 2 year anniversary of being a beautiful, strong, courageous woman! Take precious care and much love to you. Your piece resonates with me in several ways, mainly knowing there will be so many things to come that remind me of James and that he's no longer here to help me soldier through them. Your brave boy is doing what he's seen his mother do. I applaud you. Thank you:) Your wonderful children have courage because of you. "My brave boy proves this truly is a new day for us, a different place in time and a pretty nice spot to watch a game." He's got a pretty awesome mom too. Stacey, Such a poignant post. Once again, I see we have a common thread. Our cancers were both diagnosed this time of year. As you remember those painful memories of two years ago on the field, you are also creating some wonderful new ones with your brave boy. There's something remarkably profound, healing and miraculous about that. I'm glad you have reached another milestone. Enjoy the games! Here's to that quiet voice within all of us and to all the brave beautiful women I know. I tried to get through this when I received the tweet ... but I had to stop. I admit I don't always mind being moved to tears in public when reading your entries, but on Thursday I felt the associated loud sniffles would have been disruptive to the other passengers at the airport bar. Oh, I am so glad I stopped by to read your encouraging post! Your writing has touched my heart. I especially loved when you said, "My little man had once again found the courage to forge ahead and not because he didn't have a choice, but because his desire to succeed at something he loved was stronger than his worries." --I think I have found a new life quote! Blessings on your weekend! Hi Laura, I guess it's inevitable. Those thoughts will find us anywhere, but as you're doing, think about it, be glad to be here and move on. Thanks for reading and sharing here. Brenda, talk about bravery and strength. Look at you, forging ahead every day without James, finding a way through the tough times. My thoughts are always with you. Jody and Katie, thank you so much. Nancy, I agree about the new memories. That's the thing to focus on. Thanks for reading once again. Hi Philippa! It's hard, but some things can't be avoided and I just have to find a way to deal with the memories that come along with stuff. Just trying to enjoy the days with all my boys. Thanks for the quote, Marie. It's a good one. I appreciate you reading and commenting. I hope you count yourself as one the brave women you know. Hi Dave, thanks for the comment. I didn't realize what a true softy you are. I like it, just don't scare anyone in airports. Hi Kim, I'm so glad you stopped by. Thank you for that and your kind words. Your comment means more than you know. So beautifully written, Stacey! I think about all the things my mom has missed these past one and a half years. It's so hard to be without her! Congratulations on two years! I know you'll have many, many more years with those two precious boys.